Women Press For A Voice In New Egypt For the first time in Egyptian history, a woman is running for president. 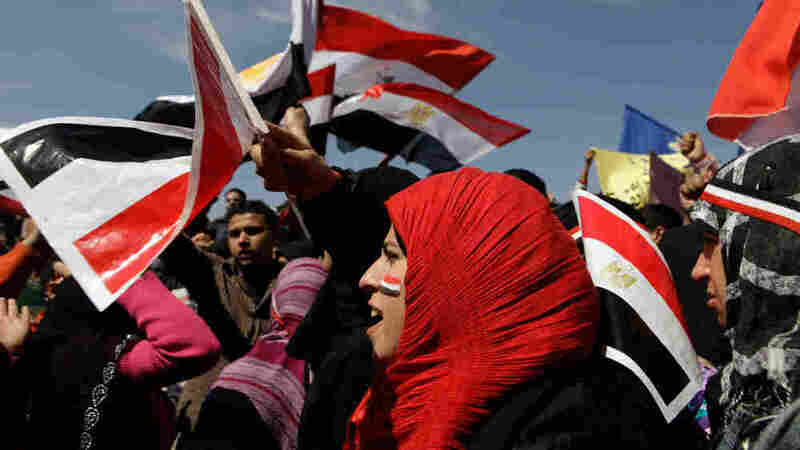 At the same time, many Egyptian women say they feel shut out of the new government that is emerging. They worry that unless they take bold steps, women will end up with less political clout than they had under former President Hosni Mubarak. For the first time in Egyptian history, a woman is running for president. Buthayna Kamel's candidacy in elections expected later this year is the result of the youth uprising that ousted former President Hosni Mubarak and his ruling party. 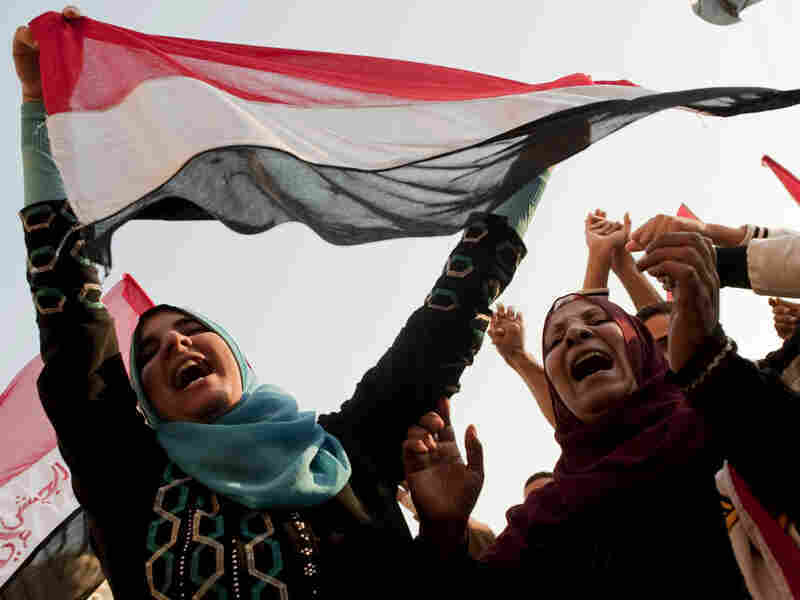 Still, many Egyptian women say they feel shut out of the new government that is emerging. They worry that unless they take bold steps, women will end up with less political clout in the new Egypt than they had under Mubarak. In her flowing black robe, Kamel looks like a traditional Egyptian woman. In reality, she is anything but. The 49-year-old talk show host turned presidential candidate is on the campaign trail. She recently held a town hall gathering outside the main library in Egypt's famous southern city of Luxor. Not long ago, a gathering for people to vent their frustrations about the government — let alone discuss Kamel's presidential aspirations — would have been impossible. In the past, only candidates approved by Mubarak and rubber-stamped by his Parliament could run. Egyptians were convinced Mubarak was grooming his son, Gamal, to take over once he retired. But today, Kamel and other Egyptians are looking forward to what they hope will be a real presidential race with grassroots campaigns. Still, the candidate says she fears that at some point, Egyptians will tell her and other women who want a say, "Thanks for working with us to overthrow the regime, but now it's time for you to go home." There is cause for her concern. Participants in last month's International Women's Day march to Tahrir Square in Cairo were attacked by men on the street. And some activists complain the emerging leaders in post-revolutionary Egypt are ignoring women's issues because they associate the topic with the old regime and its Western allies. During his tenure, Mubarak introduced quotas that filled scores of Parliament seats with women, while his wife headed a powerful women's council. The international community also poured money into programs aimed at improving the status of women. But critics say that was little more than window dressing aimed at shoring up Western support and ensuring Egyptian obedience to his regime. "You've had relatively powerful women's national councils, you've had a relatively vibrant NGO development scene with an awful lot of women's representation and so the question really becomes: What has that meant for questions of social and economic justice in particular and who were, actually, these actors?" says Martina Rieker, an associate dean at American University in Cairo who heads the Institute for Gender and Women's Studies. Nawal El Saadawi has similar concerns. She is one of Egypt's best-known feminists. The 80-year-old author and psychiatrist adds that Egypt's current military rulers were part of Mubarak's regime. "When the revolution succeeded and we came back home, we opened the newspaper [and] we found women excluded by the military and by the new temporary government," she says. "They appointed the people in charge of the provinces, the muhafezeen — not a single woman. There was not a single woman in the committee for changing the constitution. Every day we found women are not there." But Saadawi says the solution isn't necessarily fielding female candidates in the upcoming elections. Instead, she wants women's groups to unite and do exactly what the youth did in the uprising that toppled Mubarak. "Women should be in the street in millions," she says. "If women ... make a march with all their demands, this is the pressure." 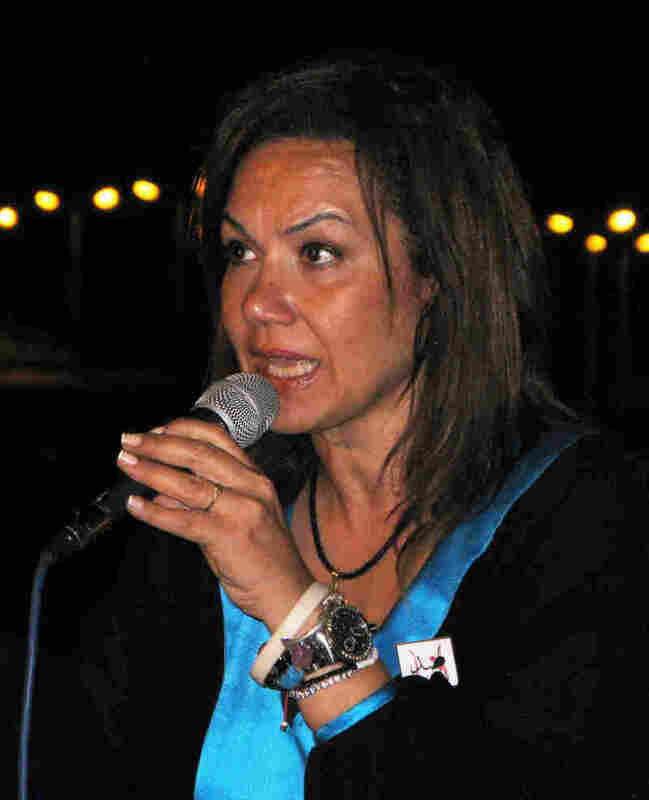 Activist Mozn Hassan says defining the women's rights agenda in Egyptian terms is also key. She says she learned that on March 8, when she took part in the International Women's Day march that came under attack. "No one is excusing sexual harassment, but at the same time at this day people were protesting ... for sectarian rights and students were striking in the universities asking for their rights, and some of the people thought that it was more important for the society and for the political movement to see women with them," Hassan says. Hassan heads a nongovernmental organization called Nazra for Feminist Studies, which is helping more than a dozen young women who are known in their communities to run for office later this year. She says even if they win, it won't break Egypt's formidable gender barriers. But she hopes to lay a foundation for a strong women's rights movement that can have a say in the new Egypt. "I don't know, maybe I'm crazy, but I still have hope," she says.